If you'd rather spend your range time shooting than loading mags, you should get your hands on some of this 5.56 ammunition from Federal. 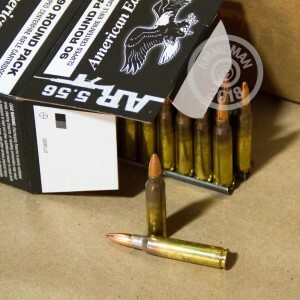 This pack of 90 cartridges uses 10-round stripper clips to make magazine loading quick and easy. The clips are reusable and compatible with most popular AR-15 magazine designs including USGI and PMAG variants. This 5.56 NATO ammunition follows the M193 ball standard and fires a 55 grain full metal jacket bullet at about 3,240 feet per second. 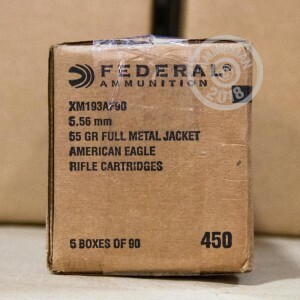 Like other Federal ammo, it uses non-corrosive Boxer primers and brass cases. 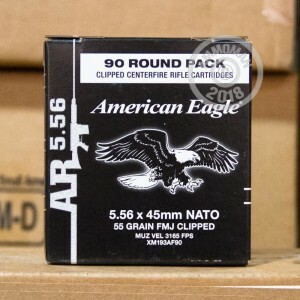 Need more than 90 rounds for a range session like everyone else but don't want to spend too much of your hard-earned cash? AmmoMan.com has you covered. Spend more than $99 in a single order and we'll help you save with free shipping!